The purpose of this section of the site is to provide you with useful and valuable tools and resources to help in your own property investment journey. It will build over time to become a knowledge bank of book references, website links, checklists, tools & apps along with anything else I can think of to add value to you and your property investing success. Click on the highlighted names to open any website links below. Some book & magazine recommendations for you...brain food! This list is updated all the time, as I read more books, so drop us an email and ask to receive a copy of my Long Book List, for a list of over 100 titles...that should keep you busy! My second book is all about property technology, or PropTech. If you think that this does not concern you, then maybe think again, as I have implemented or extended at least property technologies since starting this project as you can read about HERE. 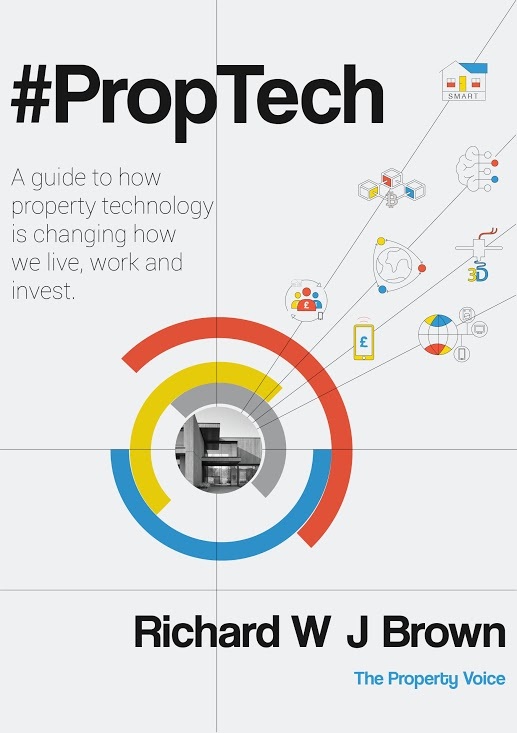 Click the following link to buy #PropTech: a guide to how property technology is changing how we live, work and invest. One book that just has to be included, not only in this selection but also in YOUR property book collection is - Property Investor Toolkit: A 7-Part Toolkit for Property Investment Success by none other than The Property Voice himself, Richard Brown 🙂 The link above is to the UK Amazon Kindle store version but it is available in most of Amazon's Kindle stores, starting with the generic Property Investor Toolkit Amazon.com one instead. Life, values & meaning books...what is it all for...it might change the way you see yourself and the world? Property books...ah yes that's why you came here! Property Forums, Communities & Networking...where you can hang out 'virtually' or 'physically' with other investors...it's horses for courses though! Property Networking Events…get out there, meet fellow investors…and get educated while you do! Property Investor Tools & Apps...to make life a little easier. You might want to start by asking to have access The Property Voice Podcast private resources page, which contains every free resource we have ever shared on the podcast. Just email admin@thepropertyvoice.net and ask to join. And following the theme of linking elsewhere, here is one from me a while back on my Scoop.it curated news feed with 30 different apps (some I notice are also on The Property Hub list) but if you have a student-like crush on Kirtsy or Phil, always forget the curtain measurements when you get to the shop, or want to know how far the nearest bar, shop, hospital or train station is to that potential investment property you are viewing...then you won't be disappointed! Oh and if you didn't notice, you probably already have some useful utilities pre-installed on your phone. For example, I have a torch, compass, calculator & timer on my iPhone...so if you have to do the number crunching on an investment project in the dark before the agent goes home, whilst checking which way the garden faces...you can 🙂 Handy eh? Some of my personal favs, some are property-specific and others not; some are more inspirational and personal and others more, well just bloomin' useful and if you made it this far there is a nerdy, geek deep inside with an itch to scratch...have you seen ALL of these? The Property Voice Podcast - live and on-air now! FI Fighter - financially free before 30...you have to see this! World Property Yield Map - clunky but fun...note to self: need to get out more! Money to the Masses - finance in plain speak for plain folk...like me! Moneystepper - I really like the in-depth, analytical thinking that goes on here...bigger brain than mine! TED - or technology, education & design but you knew that right? Tunnel Bear - Match of the Day when on holiday in Jamaica...sorted! Feedly - all your favourite news and RSS feeds in one place & a simple app too! Please add at least your first name in the next step for a more personal touch.